Forum Index > Historical Arms Talk > Midriff armor? Posted: Fri 16 Jun, 2017 4:46 pm Post subject: Midriff armor? Tobias Capwell had a 15th cen "Heroic" styled armor that had a cropped breastplate, but it's quite a bit longer in length (like a globose), and it is also meant to be worn over a brigandine. Having one's belly exposed makes about as much sense as Red Sonja's maille bikini. The belly has to BEND. If you want it armored, you need mail or something articulated. Posted: Fri 16 Jun, 2017 10:58 pm Post subject: Re: Midriff armor? Was this sort of 'shorty' armor ever used historically? 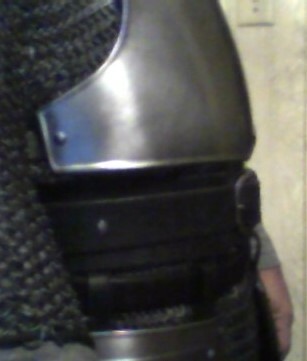 Breastplates often end at about elbow level. Height is often a little under 40cm/16", and less than this is the shoulders don't extend much above the middle of the neckline. 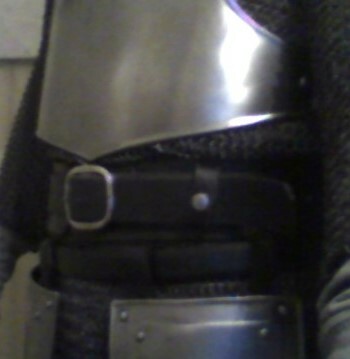 Short breastplates (with low shoulders) are often little over 30cm/12" high. A variety of breastplates, many with measurements, can be see at http://www.allenantiques.com/Armour-Breastplates-Collection.html which includes some fairly short ones. This is why plate-armoured people in historical portraits and paintings look so long-legged, BTW. PS. Besides, when you're fighting on foot, the majority of attacks will tend to come from above and hit your upper body. The abdomen is not among the easiest targets to reach on an opponent. As other people have mentioned most solid breastplates did only come down to around the bottom of the ribcage to preserve mobility. With the main exception of "peasecod" breastplates from the 16th century which could sometimes get quite as I understand it. 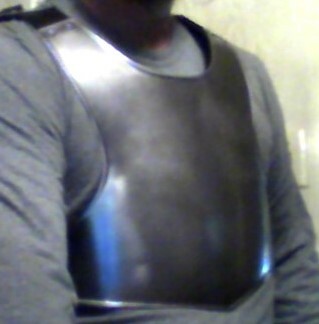 You do probably want strong, flexible lames, brigandine, or mail to protect your belly though. Even for medieval medicine wounds to the intestines would have been exceptionally lethal. By the 16th century we're seeing more armour meant to resist gun shots, and not get in to the long hand to hand fights of years past. The armour is striped from the arms and legs and moved over the chest and head. I was more meaning that limb armour was abandoned but the same or greater weight of metal was used to protect the vitals.